Wow! Let me just say, this episode is absolutely packed with insights and great quotes about UX, design and product strategy. Peter is one of the founding members of Adaptive Path, a design executive, author and speaker with countless contributions to the world of user experience design and product development. This is sure not to disappoint! Peter's new book "Org Design for Design Orgs"
Zack Naylor: well let's just dive right in because the the first question I would really love to ask you is from your perspective you know as a product and design executive what is product strategy? Peter Merholz: For me ultimately product strategy is, strategy are the answers to the questions that I have as a designer that I need to have those answers in order to do my design well. So products strategy is is kind of what sets up the the framework the goals the objectives the vision for what it is you're going to be doing for what it is the problem you're going to solve the opportunity you're trying to realize. And a clear set of you know whether it's measures of success. OKRs, a vision you know some type of kind of prototype or scenario of the future you know those types of things that help a team understand what it is they are building. As they shift out of strategy and into the execution what. Zack Naylor: Yeah OK I. Love several parts to that answer and which I want to dive into just to recap what you're saying I mean really product strategy from your perspective as someone in that executive role is making sure that we have an answer to the questions what are we doing? Zack Naylor: Yes absolutely I mean just a I mean you're absolutely echoing things that we believe here wholeheartedly as a matter of fact why we even exist. As a company we say it in a different way but using some of the exact same words and just solving the right problems building the stuff that matters you know we've had conversations with people recently where they said we're great at design sprints or we're great at agile but then we build stuff for six months and we poke our heads up and say wait a second why are we building this thing we did it really efficiently and you know it's done well but it's not the right thing so as a follow on to that Peter I'm curious do you still find a lot of organizations in the spot where they don't necessarily have the answers to what are we doing and why? Peter Merholz: Oh totally and I suspect that will be true forever. I don't think at some point every company will realize the importance of strategy I think one of the things particularly in the modern era that gets in the way of strategy is this. Almost religious celebration of speed and quickness in and ship it yesterday kind of mindset or you know kind of lean principles of getting out and then you know iterate with your customers and all that kind of stuff and so I see many organizations that are basically willing to forego strategy in favor of launching something and. I guess hoping to uncover their strategy in the market. Which strikes me is foolish. Peter Merholz: Yes I gave you the long answer in the short answer is yes companies are still not particularly strategic. Zack Naylor: Yea for sure and you know it's kind of leading the witness I had a feeling I knew how you're going to answer that but you know as a follow up to that as well given your experience and perspective again at that executive level how do we prevent this I guess maybe even though a better way of asking you to Peter is how have you done this successfully? 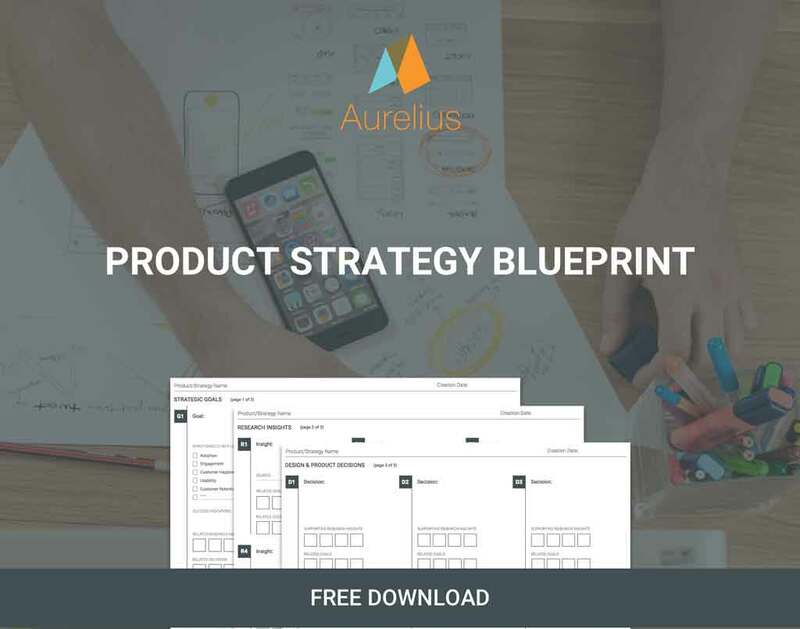 How do you make a product strategy? Zack Naylor: Yeah absolutely and it's actually interesting to hear you say that you use the Project Canvas you know we actually developed something not similar to the Project Canvas but a paper tool for free here to release called the product strategy blueprint and it's it's exactly that to make sure we're doing the right thing. You know you're connecting those goals you mentioned whenever a user research insights you've gathered it to the decisions you've made it so you can just map all that out on a piece of paper and if you hand that somebody and there's a blink spaces on that paper there's a conversation be had right? Zack Naylor: Yeah absolutely so something you mentioned in there is that you know you had you hired senior designers to work with product management. Now I wanted to get into that because I think you know here's something that I've said if you ask a hundred different UX designers what UX. means you'll get a hundred different answers. I feel that's also true with product management, so my question to you Peter is what is the difference in our case between UX and product management. What is the difference between product management and user experience design (UX)? Peter Merholz: I love this question because I been giving a talk where I stake a claim that the whole entire field of user experience exists because of poor product management if product managers had been doing their job we wouldn't need “user experience” we'd still need design. I distinguish between user experience and design. Design is is the act of design, it's the craft of of design work right interaction design for making, architecture, content strategy all those all those fields I consider design. User experience is different right user experience is the sum total of the kind of interactions that someone is having with an organization and the experience they derive from that. That is the user experience and it's not simply a design it's not simply an outcome of design it's now come of design engineering sales marketing service and support all of those things ultimately contribute to the user experience and given that approach there is essentially no distinction between user experience and product management right? The reason user experience came up is because product managers starkly have been from technical or business backgrounds and often both right there the archetype a product manager at least in Silicon Valley is someone with a C.S. or engineering undergrad degree who maybe spend four five six years working and then went and got an M.B.A. and then graduated from business school they are a product manager. But they're focused on tech and business and if you think of the there's the kind of famous three circles of product management of innovation that are essentially understand the user, understand the business, understand the technology, it could be called desirability, viability and feasibility. It can be called UX, engineering and business whatever you call those three circles I'm guessing anybody listening to this podcast is familiar with those three circles. Given those three circles product management I argue should be all three and if you talk to Martin Erickson who runs the mind the product conference and he's written about this he has that diagram of the three circles and has a little arrow pointing to the middle for Product Manager saying “you are here”. But given those three circles product managers have done fine with the business and technical aspects and a totally punted on the on the user needs aspects and the issue with that is, well and so so they punted on these are user experience aspects and so that meant designers who were working with Product Managers often realized, wait a moment there's this thing that's missing. There's this aspect of what we're doing. We are, you're giving us requirements to build a system that no one would actually ever use. It might serve some business case that you realize and it might be technically feasible but no human is actually going to engage with this and but we often didn't have evidence to say you know, we didn't have evidence to back that up it was our intuition and if you think about much of what we do in user experience around user research whether it's up front or sketching and prototyping and putting those in front of people and that kind of iterative user center design all of that is basically in order to build up evidence as to why a design will or won't work. I would argue address this this gap that had been existing in product management and so, this is a long answer but there's a lot to unpack there. What I would argue is that product management and user experience are thus pretty much identical in that they both need to sit at the middle of their of design, tech and business right? If you think of design, tech and businesses as the the three circles it's user experience is what emerges from that, product management is how you coordinate efforts to deliver that, but they're there basically the same thing. Though the one other thing I think that's worth recognizing kind of historically product management is that tech and business are very kind of stereo typically left brained activities they're very analytical they're very rigorous they they're about breaking things down they're very mechanistic Whereas design and kind of that user empathy is much more right brained it's more emotional it's more creative more generative right and some product management historically has been a very left brain activity which means that it has been missing out on the totality right we are not simply left brain people right people are are fuller than that and what I would argue is if you take a user experience approach to product management you end up with a more holistic approach to developing your product. Zack Naylor: Yes absolutely so interesting couple things that you've said there and even earlier in our conversation I want to repackage and present to you. So sure you know we talked about product strategy really being as I would always summarize an understanding of what we're doing as a business and understanding from our customers and making good decisions that are based in founded in those things. I hear you also then talking about you know the difference between the work that we do as UX designers and product managers is really one in the same except our focus tends to be more on you know either the customer or user or on the side of the business. So if all those things are true you know what does a good decision look like? What does a good recommendation for the product strategy look like in this case? How does it manifest? 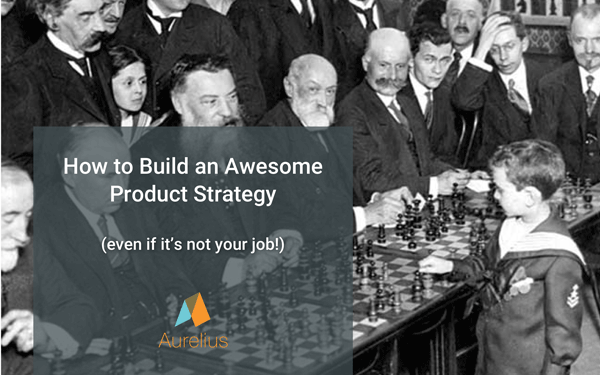 What is a good product strategy? What does it look like and how do you create it? Zack Naylor: Yeah OK so what I really hear here is that the most successful way to do a product strategy is to really include design upfront but more important to allow design to even influence what that strategy is. Peter Merholz: Definitely I mean design you know, I'm pretty much a fan of you know the three in the box model when it comes to product development of product design and engineering right and I see each of them as being contributors sometimes you can add to that, marketing you might depending on if you consider user experience or sorry user research part of design you can add to your research but that three in the box model is appropriate and each of them ought to be contributing their perspectives throughout the lifecycle of product development so that includes the definition or strategy as well as the execution. And I would argue there's there's two components I've been focusing on design I'm making a concrete the other component that's that's essential to make sure you're engaging in while still doing strategy is the user research and I think you mentioned that with your tool as well deriving user insights a strategy that is not grounded in authentic user empathy is not quite meaningless but is at risk and at a higher risk of failing, I would argue because it's not it hasn't really been vetted with with the people who ultimately will engage with it. Zack Naylor: You know I'm actually going to jump in and just throw my opinion in there and say I actually think it is meaningless because even based on our conversation here you know everything that we've talked about is a way to judge and react to a strategy to make sure that it can meet those needs you know if, if the needs of our customers are using or users are missing from the beginning then that strategy is incomplete. Peter Merholz: That's true the only reason I'm I'm I hedged a little bit there is that I am not religious about user research in that I think it kind of depends on the problem that you're trying to solve. If you are working on a consumer facing app in a space that you are pretty familiar with you can do way less user research and actually rely on yourself I am I am fine with that. Apple has generated a “ga-jillion” dollars in market cap with that model. And I don't want to suggest they're doing it wrong given the obvious success they've had but when you’re working in a context where your customers are very different from you, right as you mentioned earlier, I'm working at I.B.M. we're working on building tools. Building our own block chain and then creating offerings that are based on our block chain. Our audience is primarily a highly technical developer audience like even more than most developing audiences and just because how early block chain is. This is not JQuery libraries, this is some pretty deep computer science here right and that's an audience I know nothing about so I would never try to design for that kind of audience without engaging in significant user research so that I can better understand the challenges that those folks are facing. Similarly if I was designing for health care professionals if I was designing something that went into a hospital I was designing for bankers or investment professionals any anyone who has you know who operates in this sphere of expertise that I am simply not familiar with like it would be it would be insane of me to try to design a tool for them without conducting research and trying to utilize my empathy in those contexts to better understand how they do their work. But again I think there are contexts where you know if I were to if I were to design a podcast listening app, I wouldn’t need to do a lot of user research because I inhale podcasts so I could simply start with me and then you know listen to users as you know folks are adopting it etc and evolve it, it's not to be, ignorant or neglectful of user input but you know I do think that it varies based on the the nature of the service that you're building. Zack Naylor: Yeah it sounds to me like a level of discretion or judgment needs to be made based on you know your the knowledge you have an affinity you have towards your audience. Peter Merholz: Yeah I mean I guess why I start I use the phrase user empathy as opposed to user research I think you can be empathetic with users without necessarily having engaged in research but research is a remarkable tool to develop that empathy for audiences that you're not familiar with. Peter Merholz: I think it's a that's where the three circles work I think pretty well they're pretty complete right you and I have an understanding the market the audience, who they are what they want to what, what does the journey that they're on what is the context that they're operating within so that you can develop a strategy that is in part informed by that authentic understanding of those people and their context so that's kind of the user orientation. You want to have a sense of how, you know you will succeed that's generally where the business cycle comes into play the viability, whether it's is this an adoption play, an acquisition play, a retention play, engagement what is it that you're trying to achieve how you know it's successful. Because you know that that's one thing if it's a feature it's another thing if it's a product or a service you know and it can change in different parts of an experience can have different metrics that you're looking for so just having clarity as to what it is that you're that you're trying to achieve that you know you've hit it you're likely successful. And then I think the third box that engineer, that will be engineering or feasibility like is this something that you can actually build least in a reasonable timeframe. Or are you are you engaging in wishful thinking? You know I can talk to users I can develop a business strategy but it turns out that I need to use, I mean this is kind of the problem with a lot of the really clever ideas that emerged from the first web boom that we're now recreating even still today. But where I think we were right about like what it was we were trying to do or like from a business standpoint we were often right about our audience and what it was they would like to do but we were we were just way out ahead of the technology right in the first when boom there was a lot of work in like video that required broadband that people just didn't have. So the vision was kind of right it was just you know five ten even fifteen years too early. And so by by having those those three things in balance they can frame the problem that it is that you're tackling and then again I think the role that design can play is almost, in this case not quite separate from strategy but it's not trying to drive strategy it's trying to depict strategy. Design can take those inputs and then through ideation concept generation prototyping kind of put out here's a set of different possibilities based on these inputs. Do these feel right? Are these what we should be doing? Are we able to do it? etc You can you can ask them those questions you know but you know it's design is helping make clear what the implications of those, of what that problem framing is. Zack Naylor: I mean so you know what I think this really comes down to is that we have a number of inputs or data or information we all bring to the table and we make some decisions based off of that and you know at that point those are just decisions things that we've said or you know recommendations we've made, things we chose to do right and design brings this to life as almost a means of reflecting back on that strategy and say is the thing that we made the right thing based on what we talked about? Peter Merholz: Right exactly and and it’s when you're prototyping. So again before you get into development when you're prototyping concepts based on those strategies you have an opportunity to change the strategy if you need to. You might you might find you probably don't. I want to change the kind of user needs part of the strategy, that's not likely changeable right there's certain things that are fixed. But you might find that, well, in a project I did for a financial services client the company, the client, came to us saying our goal is retention. When we did research we realized retention was not actually a metric that we would be able to affect. Other things outside of the purview of the work we were doing were going to have more impact on retention namely the terms of the relationship, rights of financial services you know what are the fees. How well are your stocks performing there's a whole bunch of things that are not about the interface that you're designing that actually affect whether or not someone stays with you or leaves you if you're a financial services right. Relationship they might have with professionals they have a broker or something like that and so you need to be practical or pragmatic about what it is you can actually affect and what we saw through our research and through our initial concept is that what we could affect is not retention but a kind of acquisition. We could, people who are working with our financial services could if they already had a brokerage account they could have a bank account, they could out a checking account, they could have an insurance account, that was something we could affect. Our research showed that people liked to consolidate accounts with a single vendor with a single supplier and so we realized OK it's not about retention that's something we're not going to be able to affect, but we can make it way easier for people to open new accounts. And that drives a lot of value for our client and so we were able to then shift kind of the strategic focus you know so that the people were still meeting the same thing but we were able to tell the business, yes retention is important but not here, that some other part of the business is going to have to deal with that. Our part of the business what we can do is widen and deepen relationships that people have with you. Peter Merholz: Yes. It sharpened it I would say. Honestly the client had a lot of goals so including retention, retention was the highest order call. And what we what we did was we were able to kind of take that off the table and say you know what these other goals that you didn't consider as crucial are much more feasible for us to make an impact on yeah so we're going to focus there and we were actually work with them to do some financial model of the impact of those. By focusing on the impact of, focusing on those metrics and show them that there was still a lot of money to be realized if they did it. So they were totally bought in. Zack Naylor: Wow, so I think financial modeling is probably the outside of the scope of our conversation but it's something that you said I definitely want to dive into which is you know this is with a client that you worked with in so you obviously convinced them right we got everybody on the same page that these are the right things to do I mean this is the theme of everything we've been talking about right doing the right things. In that particular case what information or, you know whatever basically what worked for you to get them on board to say this is the product strategy, here's how it's changed. How did you how did you articulate that and get those folks on board with you? Peter Merholz: In that case we articulated it through some well design Power Point decks and that laid out the thinking I think one of the reasons I've had success, the success that I've had in products strategy is due to how I approach product strategy which is by taking an almost lawyer like rationale to building an argument for my recommendations and so in that case we had the business strategy you know we talked to a bunch of stakeholders and we understood what they considered important and we were able to kind of feed that back. Because one of the things you find when you're working in a client context is that different people within your client organizations often don't necessarily agree with each other they might not disagree but they're focused on different aspects. So there can be a lack of alignment so we we fed that back and showed them kind of the array of hopes and dreams that different people within the client organization had and in doing so I think made it clear that there that there needed to be some focus. We also engaged in a prioritization exercise we created a very simple two by two where there was importance to the business one axis and the feasibility of impact on another axis. Like how likely are we able to impact this thing regardless how important this is and we plotted all these different business objectives on this too but so one of them was retention. Retention was very important to the business but it was not feasible whereas the widening and deepening were maybe not as important to the business but they were quite feasible. So we were able to show them do you really want to spend a lot of time trying to solve a problem that we probably can't have a real impact on, or do you want us to spend our time solving the problems that we can actually affect. So that was that was part of it and then through the user research I mean we were doing video highlight reels you know we were going into people's home. We were talking to them for two hours about how they conducted financial planning in their lives really trying to get pretty deep with them and then through the analysis of those insights feeding that back and helping them understand what were the things that their clients were looking for including things like consolidation when dealing with financial matters. Simplicity it comes up and I'm I'm hesitating as I say that word because you don't want to oversimplify and it's almost become cliche to say simple simple but you know I if I were to do it again it would probably be more I would say clarity. How do you distill all these numbers which can feel overwhelming and abstract into something that folks feel like they understand and have a relationship with. Zack Naylor: Well, simple and easy are mutually exclusive right? Peter Merholz: Can be depending on the on the problem that you're tackling. So consolidation, clarity, ease of engagement certain actions that people wanted to do regularly were actually quite onerous because we were redesigning a system for them. So we were able to point that out, why don't we focus on solving or making it easier to do these things that people want to do frequently. And so through the user research through this, business case analysis, through the financial modeling through the prioritization we were able to build a case on here's where we think focus makes sense in terms of our activities when we engage in a redesign we're going to be trying to effect these objectives and that's where we're going to that's where you're going to realize value based on our our efforts. There is one other aspect, oh one of them is you often have this, well clients or working in-house right people want to do everything. You know we were where this project I'm thinking of was before minimum viable product was a common term but even now in the land of minimum viable product people tend to want to do too much out of the gate because they have they often have a lot of ideas and they want to get them all out there. What we were able to do with them is help them understand how to phase the release of these new designs in a way that you got something out sooner you get people using it and then you kind of evolve that experience over time instead of trying to do everything at once and it will take so long to design and build up by the time you launch it will feel irrelevant. Zack Naylor: Yeah yeah well just to go back and summarize something where you started all this is you, and I quote, you said I take a sort of lawyer like approach so first of all Peter Merholz and I just became best friends because I literally have had people say like well you would've been a really great lawyer if you didn't you weren't a product or design person and it is exactly the reasons that you outlined as to why. Again everything you just said I mean perhaps applying my own bias to use some research terms right, but everything I just heard you say as well what I do is I establish what your goals are I establish what your customers want and need, forget want, to establish what your customers need and what their behavior is and I present you a compelling case between those two and I make recommendations that are based on those and it is not very hard to argue against and the reason that that excites me so much is that is literally the reason why we exist as a company is because we completely agree that this is the right way to do this work right it is this is not science I believe anybody who is a designer product person comes to you and says they have the right answer you should run as fast and far away from as possible. Unless they have done that work. Peter Merholz: No I think that is an excellent point. Yeah it's just simply how I think and I think this is why I mentioned earlier at the outset how Adaptive Path kinda evolve from being focused on design to design and strategy and it was this need to answer these questions but then also feed them back to our clients and build these cases as to why we thought the strategy should be framed this way and how it then drove the design decisions. I mean a lot of a lot of design agencies complaining about how their work never sees the light of day and I think the reason it, that happens much of the time, is because the design agency didn't do their diligence to really understand the company to really understand their business to understand their users and so they might have produced something that appeared to be a great design but was faulty because it didn't fit within the ecosystem of the the actual ecosystem of the client and so we saw our job is to really understand that and when we did that we saw our designs did get launched because they were cognizant of those contexts in which they were going to be built and delivered. Peter Merholz: Thank you and yeah we, for us I mean it was it was less about like we had to understand those measures of success going into the design so we didn't come out of the design and then say you know this will be successful if. We understood what it meant to be successful before doing the design to drive towards those outcomes. And I think that often doesn't happen enough I think people wait until they launch something and then they start measuring it and then they're trying and then they try to figure out well wait how do we know when we're successful? Zack Naylor: Yeah I love it I'm going to summarize all this by simply saying we have so many great ways of creating the solution, executing on the design or the development of the solution. I would posit that your argument is that we need to focus more on the strategy and making sure we're solving the right problem. By understanding our business better, by understand your customers better and presenting that great case of all that information together. Peter Merholz: thank you this has been delightful definitely enjoyed it. I haven't had a chance to do a lot of product strategy of late when you become a design executive you tend to be focused more on things like recruiting and hiring or other things. In my new role I'm reengaging the product strategy muscle, I'm dipping back into my Adaptive Path bag of tricks because block chain is so new we have to figure out who are market is and what they're going to do with it so. I look forward to reengaging with my my product strategy roots and maybe coming up with some new ideas soon. Zack Naylor: I love it and we can't wait to hear. We appreciate you coming on the show is there anything you would like to share with those listening before we wrap up today?